I'm thrilled to announce that I have an article up at Writer's Digest! It's about the pros and cons of working with very small book publishers. What I mean by "very small" is the publishers that are primarily one-man or one-woman businesses. 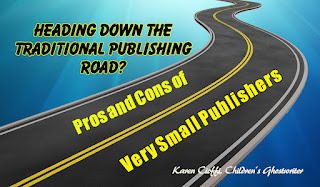 While these home-grown publishers can be a life-saver for the new author and certainly do have benefits, there are a few things to be aware of before jumping in. 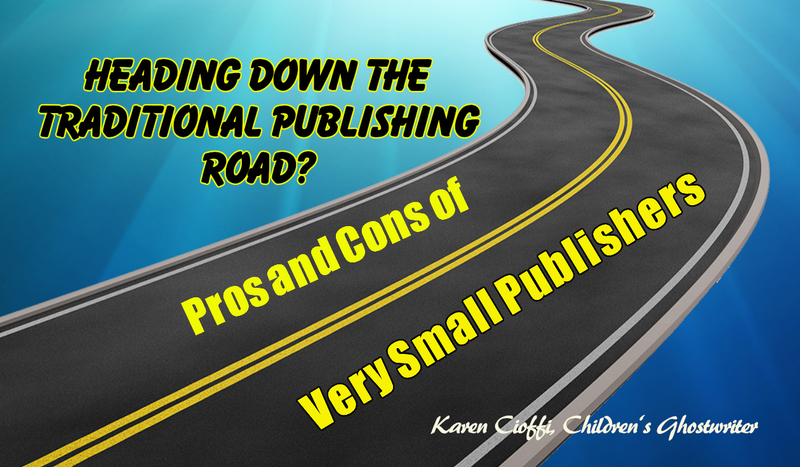 As a new author or even if you have one or two books under your self-publishing belt, you may be thinking of entering the traditional publishing arena. But, I didn’t let that discourage me … well, not entirely. While disappointed, I dug in my heels and attended writers conferences and joined writing groups. In one of the online conferences I attended, small publishers were on hand to take pitches from authors. Naturally, I took advantage of this opportunity. I gave my pitch and the owner of the publishing house asked to see my manuscript. HEY! While you're there, please SHARE! Karen Cioffi is an award-winning children's author, children's ghostwriter, and author online marketing instructor with WOW! Women on Writing. I started out with a small, home-grown publisher too, and my experience was a good one. Your points are all spot-on. I was more involved in the process, but the publisher had no money to do any marketing, so I did 99.9% of myself. However, even with a larger publisher, you still have to do a lot of your own marketing. Hi, Heidi, that's absolutely true. Authors have to market now. I think the bigger problem is with picture books though and the process for them. Congratulations for being accepted by Writer's Digest. That's a fantastic magazine.